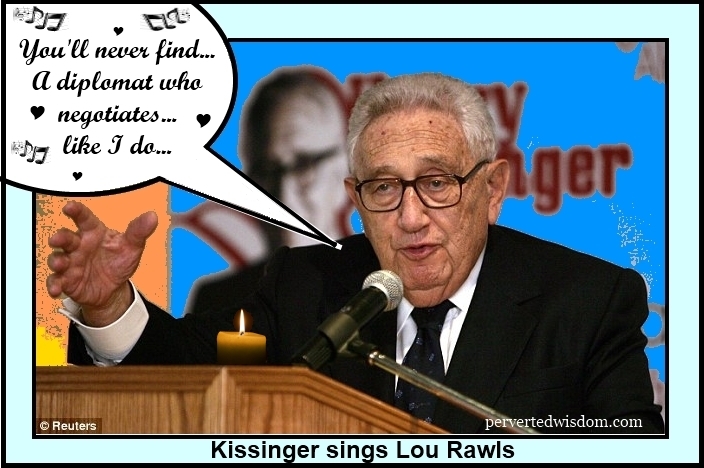 Kissinger: I don’t care about money. Would it increase my power and awesome legacy? White: That I can’t tell you. ‘Wouldn’t know how to even guess. This entry was posted in entertainment writing, humor, Uncategorized and tagged Barry White, bill o'relly debates his clone, clones, Katherine Hepburn, Katie Holmes, Kissinger sings, Lou Rawls, Obama and Spock, Peggy Noonan, Susan Collins by Alan Brech. Bookmark the permalink.